30-Piece Tool Set with Carrying Case Just $14.99! Down From $60! Ships FREE! You are here: Home / Great Deals / 30-Piece Tool Set with Carrying Case Just $14.99! Down From $60! Ships FREE! GearXS has this 30-Piece Tool Set with Carrying Case on sale for $14.99 (Reg. $60) + FREE shipping! Come prepared with every tool you need for the job with this 30 piece tool set. Perfect for heavy duty jobs, each tool is durable and long lasting, and the convenient carrying case allows you to effortlessly bring the set to any site where these tools are needed. 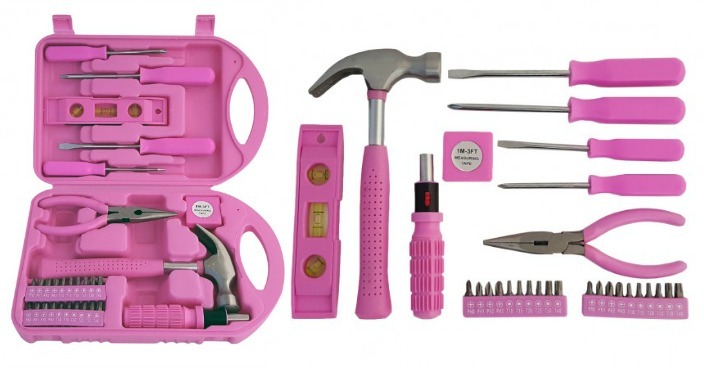 Each tool is designed with a unique pink handle for easy identification.